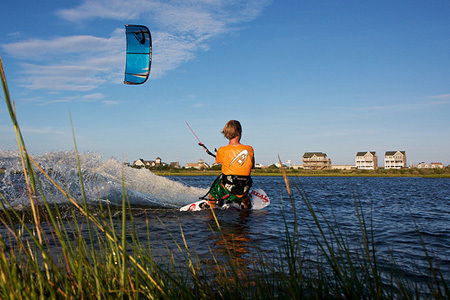 Snuggled between Rodanthe and Salvo in the Tri-Villages, the village of Waves is aptly named. With its beautiful beaches and sound access, Waves is enjoyed by fishermen and extreme watersport enthusiasts alike and home to REAL watersports. This small beach town also offers camping opportunities at the KOA Campground and delicious restaurants like Atlantic Coast Café and Waves Market and Deli!